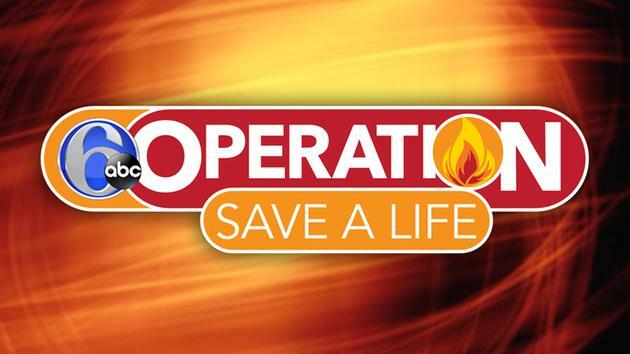 On Thursday, January 21st Channel 6 WPVI hosted its 24th annual Operation Save a Life campaign at the Philadelphia Fire Academy. This is a campaign sponsored by the Home Depot and Kidde Fire Protection to promote fire prevention by handing out free smoke detectors to area fire departments for people who are in need. KPVFC along with over 200 other fire departments in the Delaware Valley were invited to participate in this year’s event. KPVFC was represented by Lieutenant Matthew Introcaso who traveled to the Philadelphia Fire Academy to pick up the free smoke detectors and participate in the press event where he was able to meet the Philadelphia Fire Commissioner Derrick Sawyer. Please feel free to stop down at our main station on 170 Allendale Rd if you’re interested in receiving a free smoke detector. We will also be doing free home installation as well! Please call and we will provide more information.